If you know me, you know I'm a coffee person. I'm a caffeine person actually, love coffee, tea, redbull, cola and everything caffeinated. 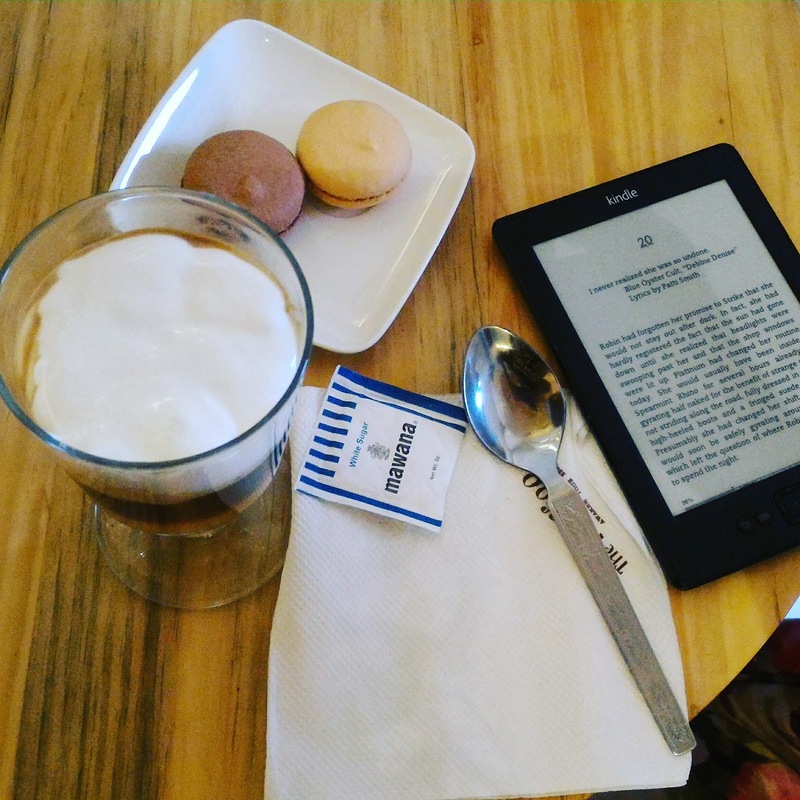 I also love to read, and to eat. So it's obvious, that I'd be really excited to know when there is a new cafe opened in my vicinity! I was invited to 'The Koffee Works' in Kharghar yesterday. It was a really rainy Saturday, pouring non-stop since morning. 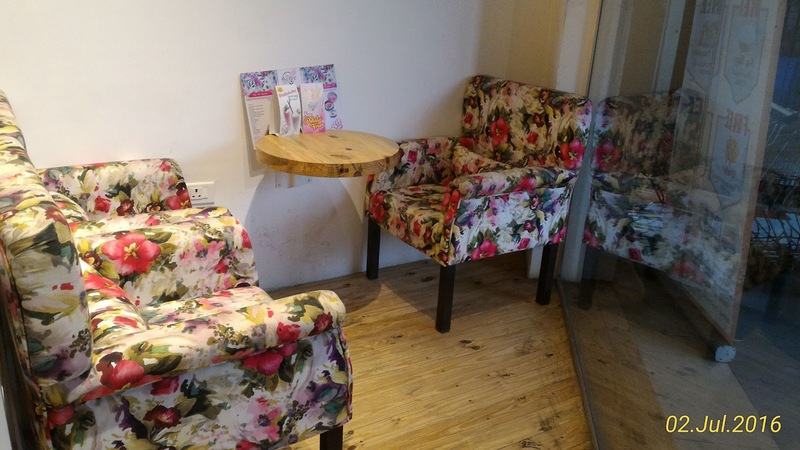 The Koffee Works is a quaint, cozy li'l cafe with outside and inside seating with different furniture including Chintz floral printed couches, chairs, bar stools. It has a nice ambiance perfect for those long conversations or some 'me' time with your favourite book or just with your thoughts. They are very new, opened in May and are still exploring the menu and changing as per everyone's feedback. They serve a very wide variety of coffee and interestingly have named them as The Hot Works, The Kold Works and The Bakery Works. 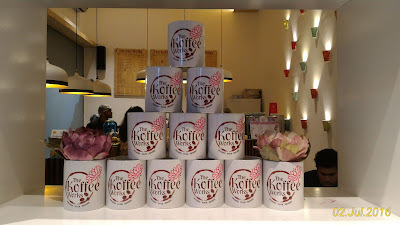 The owner/founder Ishaanee told us that the coffee comes straight from their family coffee plantations in Chikmagalur. I opted for the Irish Coffee (Saturday's are meant to be Irish ain't they?) and it was served in a nice tall glass. Maybe I should have gone for something basic though, because the cream wasn't something I enjoyed, the coffee part tasted good though. Then we had paneer sandwiches and paneer tikka wraps, both smelled so good I could hardly wait to try them (After all we food bloggers have to patiently take photos first, haha). The paneer was fresh, sandwich was good as long as you have them while warm. But I absolutely loved the paneer tikka wrap, it was perfect. We then had Ferrero Rocher brownie with Vanilla ice-cream, which was heavenly and tasted just the way it should. 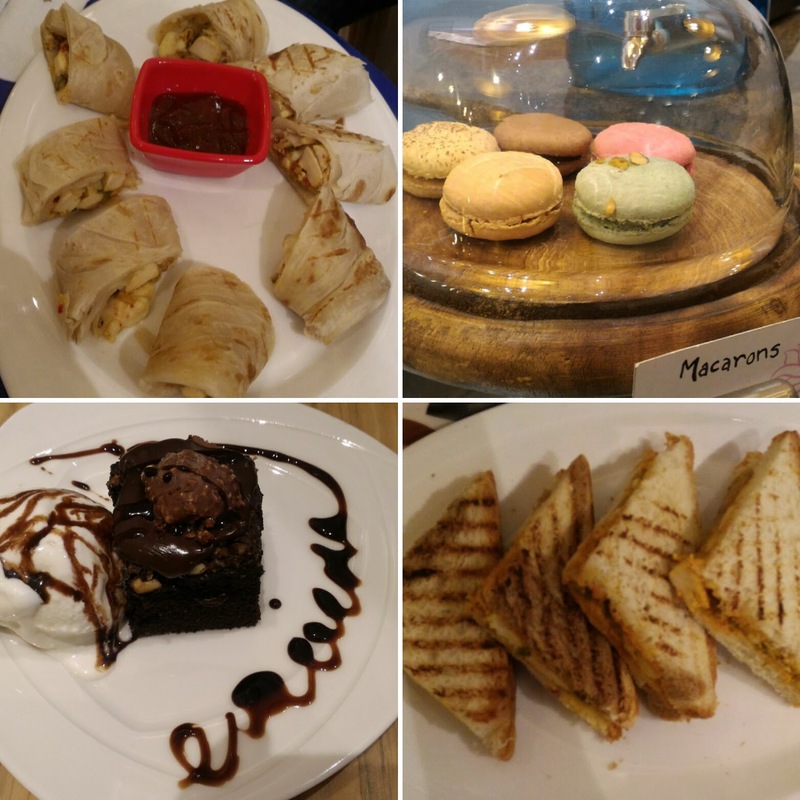 Do not forget to try the macarons, I loved the Raspberry one, there are very few places in Navi Mumbai who'd make their own macarons. 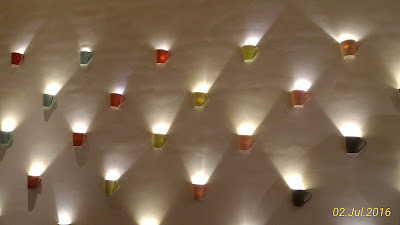 The cafe has lovely decor, I absolutely loved the lighting done with coffee mugs. They have a few collectibles showcased too, which the owner Ishaanee has herself gathered whilst her various travels. They have The Koffee Works mugs which are for sale, in-case you'd like to buy a souvenir. They also have free wifi, takeaway and free home delivery in Kharghar. When I asked them how do you serve the Koffee in home-delivery, I was happy to know they carry the coffee in a thermos and pour it out at the doorstep, such a homely feeling (and as Rhea, another food critic stated, it's better than those disposable thermoses in trend nowadays, which are contributing towards waste and pollution). If you stay in Navi Mumbai, do drop by at The Koffee Works and see for yourself! You can follow them on Facebook or Instagram and stay updated with their latest offerings. 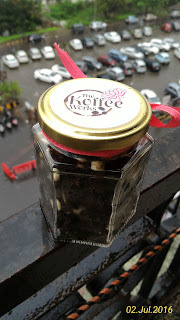 They sent us off with Brownie with White Chocolate in a jar, which I'm yet to have with my family. 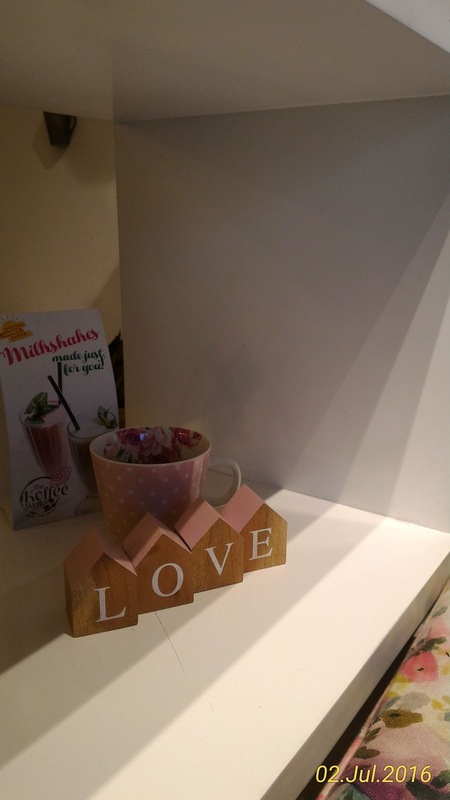 Thank you so much The Koffee Works! You will see me again, soon. In a country like India, vastu problems solution in hindi is considered one of the basic requirements while constructing a property or building according to pre-specified principles. It is necessary to follow these principles for wealth, health, fame and prosperity in life. Though it has become difficult to follow each and every principle in the present era, it is important to make maximum use of tenets in order to achieve peace and harmony in life.